I have been meaning to post a recipe using the left over almond meal which I have from making my Naturally Made Raw Almond Milk. If you follow me on Facebook, last week you may have seen that I made Raw Chocolate Cinnamon Almond milk (You can use this link here for the recipe). 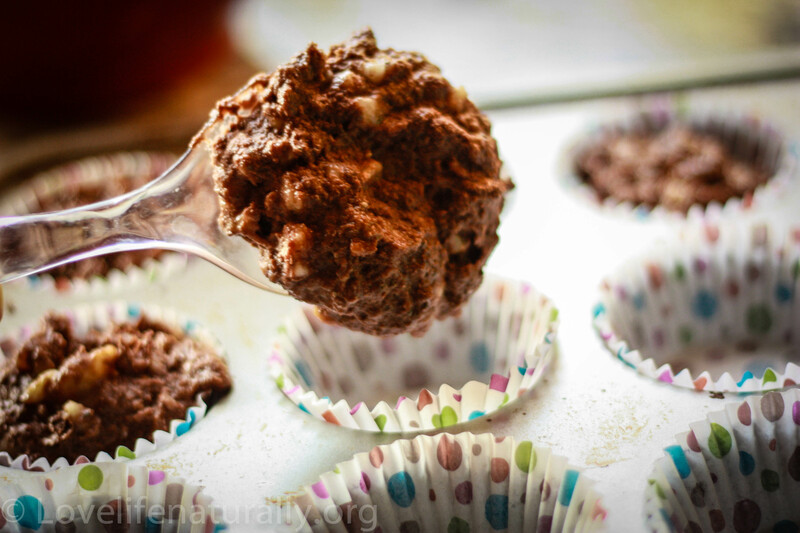 I had added in raw cacao and cinnamon to make the milk so I wanted to make muffins that incorporated those flavors. Who doesn’t like chocolate? 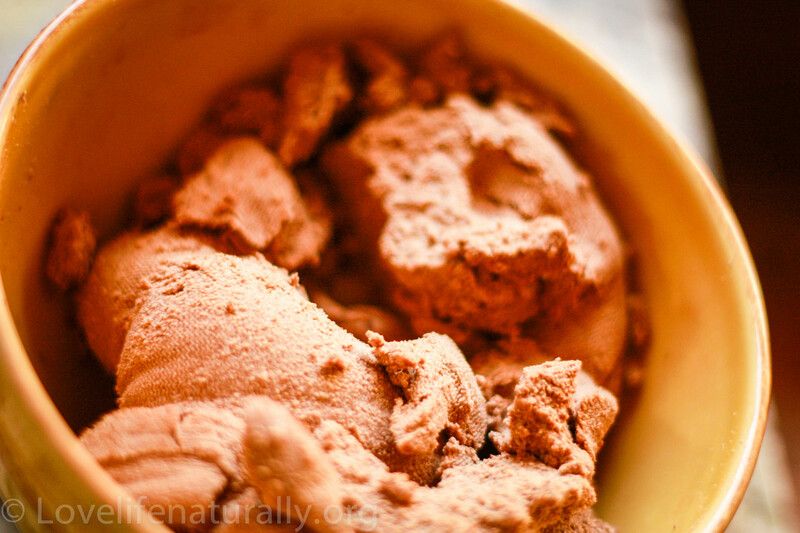 One reason I use Raw Cacao over cocoa powder is that the raw cacao contains 367% more antioxidants, according to nutritionist and raw food advocate, David Wolf! The traditional store bought cocoa is overly processed and the actual cocoa butter is removed and therefore, many of its nutrients are lost. 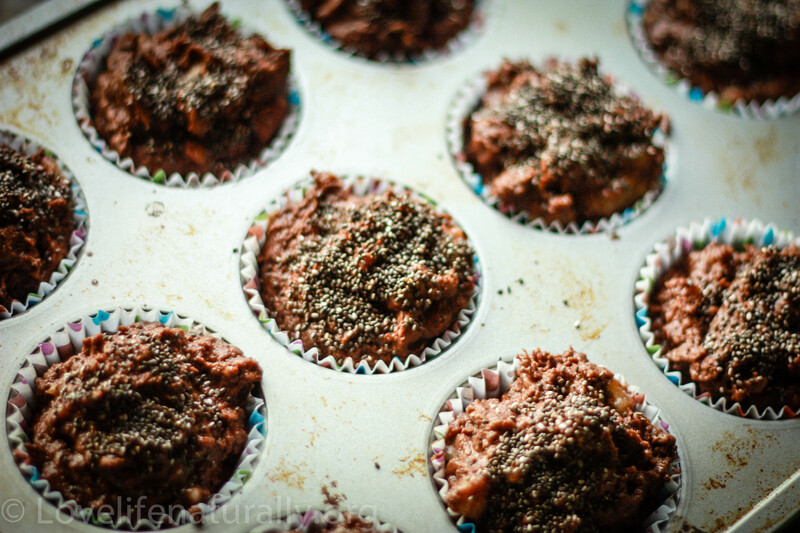 These muffins are full of antioxidants, enzymes, fiber, and complex carbohydrates. They are perfect for breakfast with a side of eggs, for an afternoon snack pick-me-up, and are even sweet enough for dessert! I used the almond meal left over from making almond milk. But feel free to buy some as well you will have a little different consistency since mine had some moisture left in. 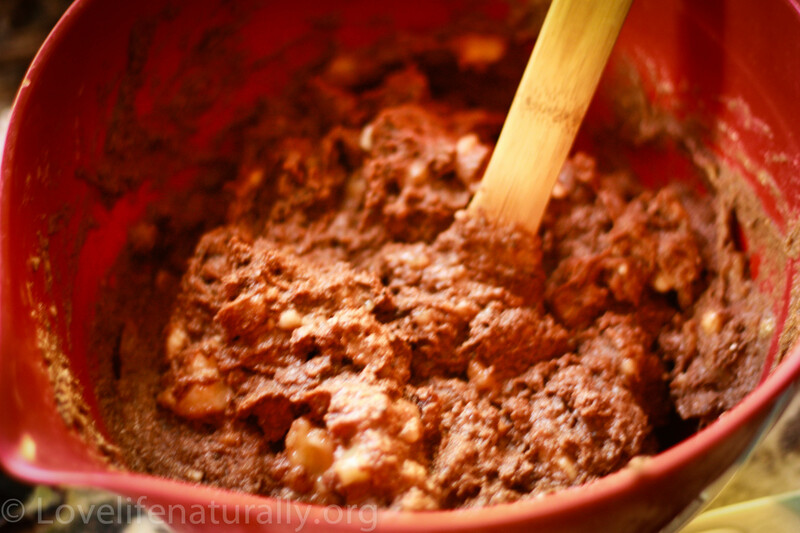 In a large bowl, Add Almond meal, soda, salt, and cacao, and whisk together. 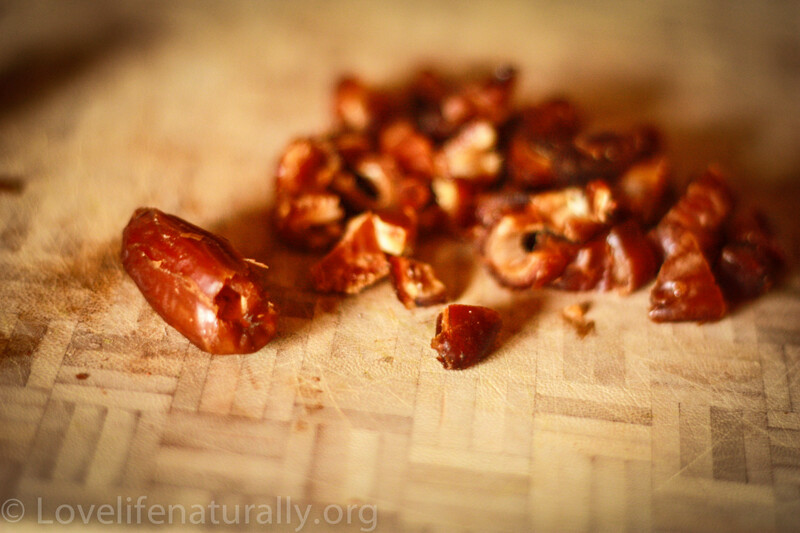 Chop dates and add to almond meal mixture. 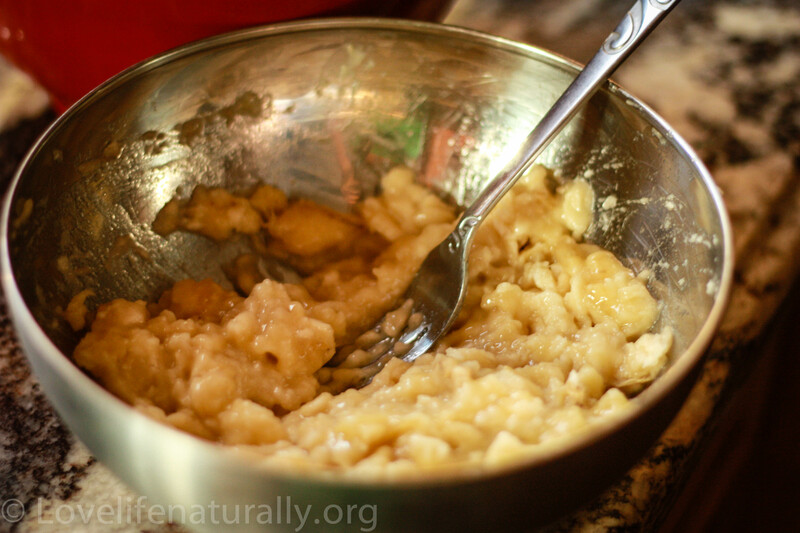 Mash bananas with a fork and set aside. In a blender combine coconut oil, yogurt, eggs, honey, and vanilla. Add in the wet ingredients from the blender and stir. Add banana’s and stir to combine. Line muffin pans with parchment paper liners. Scoop mixture into the pan using a large spoon or ice cream scoop to make the job easier. 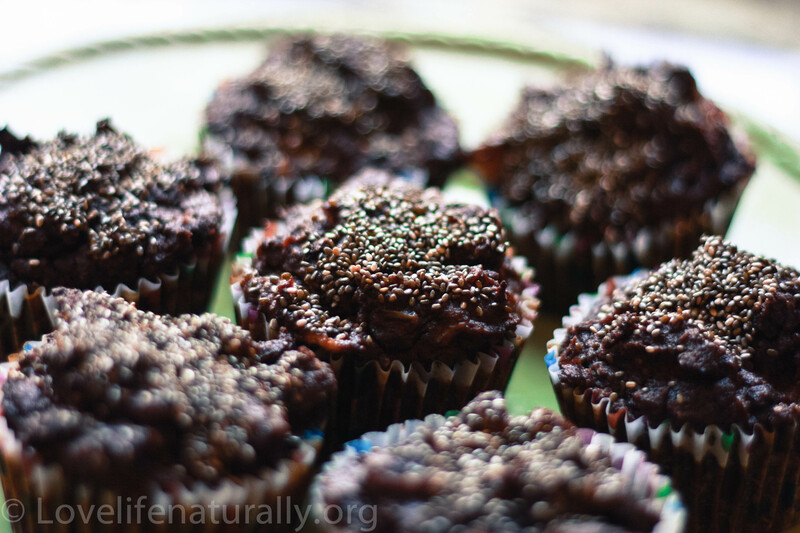 Sprinkle with the remaining 1Tbs of Chia seeds then place into preheated oven at 350 degrees for 35 minutes. 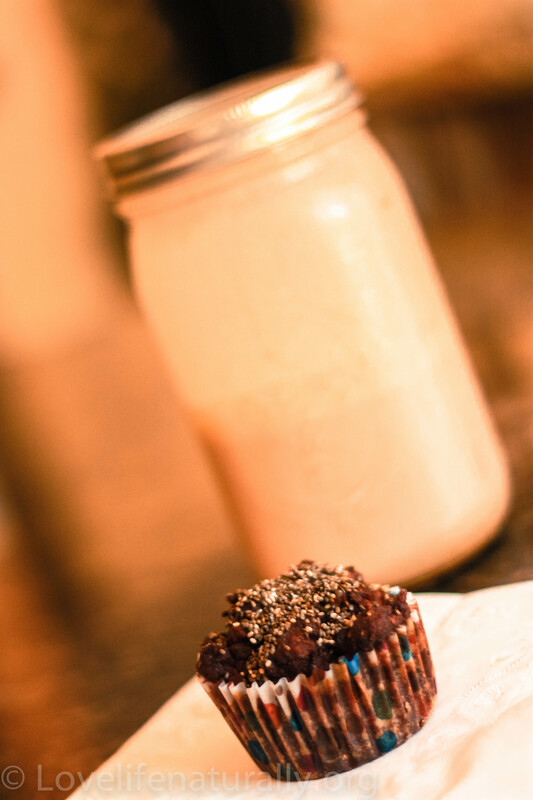 Enjoy with a glass of homemade almond milk! **Note** I call them “Almost Paleo” due to the greek yogurt, but you can substitute with a non-dairy yogurt as well. Enjoy! Don’t you love when that happens! Yes regular cocoa will work as well. They are very moist! I have made other muffins from regular almond meal and they were also very moist. Oops!! Haha! Thanks for letting me know I forgot to write chia! I will update ASAP! These look so good!! 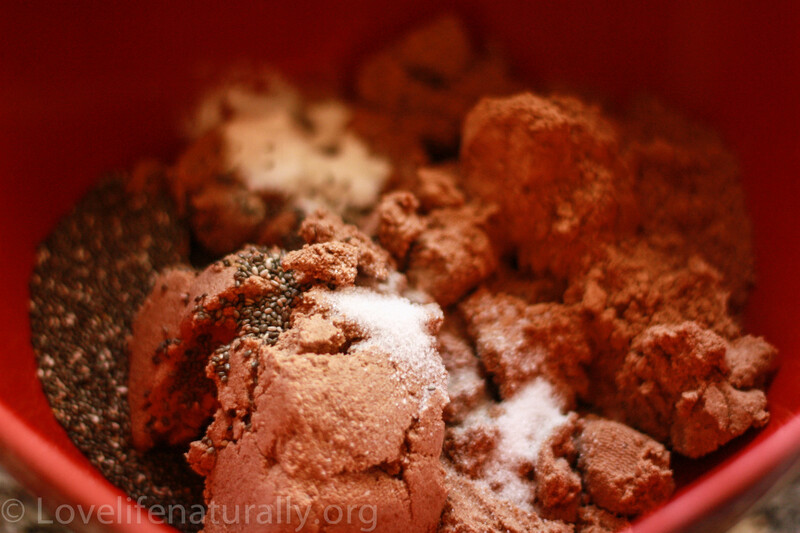 I love the chia and chocolate combo! Thanks! They are super good and moist! It’s hard to have just one 😉 give ’em a try and let me know what you think! Oh you are so sweet! Thank you so much! 🙂 I will check it out!